Situated above Nutwood , in Dalby Forest (the Great Yorkshire Forest), our fully equipped lodges (Log Chalets) are carefully designed for your log cabin forest holiday, however long or short the break, and whatever the season. 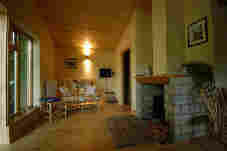 The lodges are cosy centrally heated homes from home, fully double glazed and furnished to a high standard. They are available for one or two weeks or short breaks subject to availability. 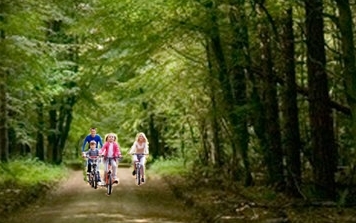 There is ample off road parking just a short walk from your cabin. All bed linen is provided, as are tea towels. We ask you to supply your own bath towels. 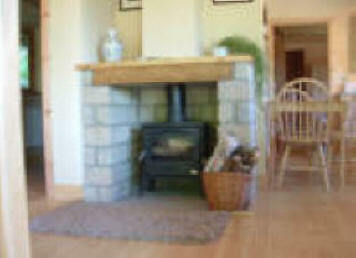 All central heating, gas, electricity and logs are included in the price. Cots and high chairs are available. Please ask when booking. We regret we are no longer able to accommodate pets (with the exception of course of registered assistance dogs), and we operate a no smoking on the entire site. Covered and lockable mountain bike storage is available at each lodge - just remember to bring a padlock and chain - alternatively bikes are available to hire at Pace Mountain bike hire, at Dolby Courtyard just a 2 minute walk away. Waymarked walking and cycling routes pass the door!